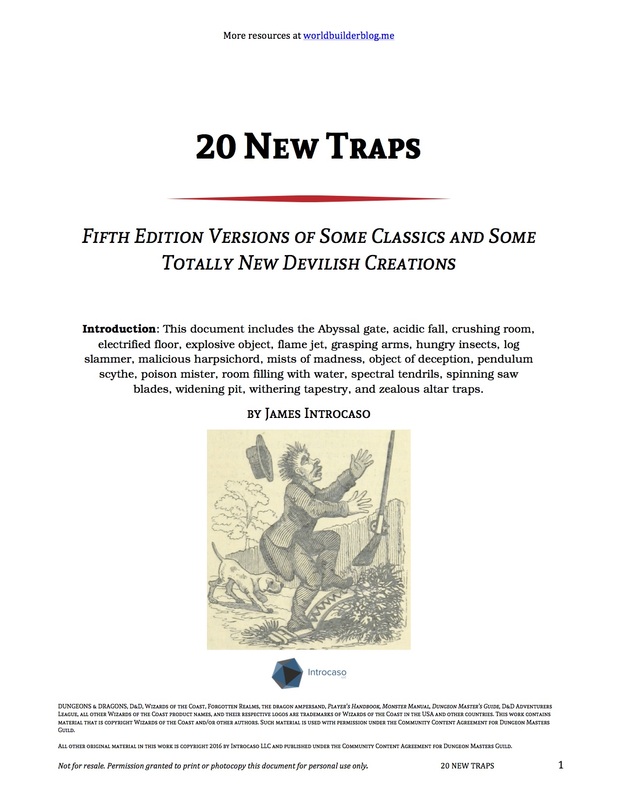 Traps have “0” to do with actual role-playing, except as a feature to “mentally challenge” players, most of which fail. They sure can be fun! I actually find that traps are a great time for my groups and they can add a layer of complexity to other encounters. To say they have zero to do with role-playing is something I disagree with. I think if you’re not into traps, then don’t use them in your games. If you are, then use them. It’s like anything else in RPGs – take what you want and leave the rest behind. Is there any chance I could use your DM guild publications in my campaign write up blog, provided i link to the right page and dont redistribute it. Shoot me an email and let’s talk! james.introcaso@gmail.com Let me know what specifically you want to use!